Exciting and relaxing travel activities will be briefly mentioned on this travel page. 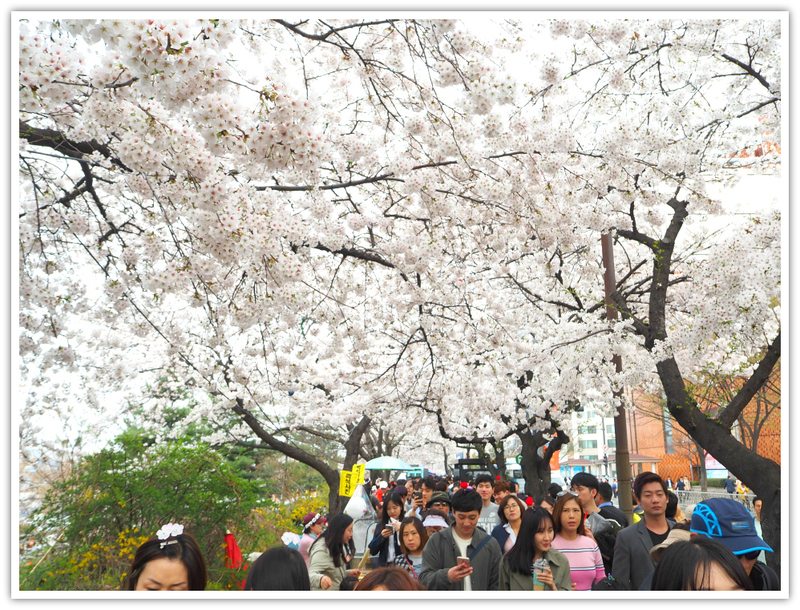 You will discover South Korea’s travel activities including those you have not even thought about. Certainly, you will discover more as you continue scanning the available travel activities on this website. So, just to describe a little bit more about the items above, please let me provide some descriptions and examples. Of course, you can see some photos below. Amusement and theme parks are highly developed in South Korea. They are one of the best destinations especially among groups and families. Of course, you can travel there solo! You can find amusement parks and theme parks in Seoul, Jeju Island, Busan City, and other cities and provinces through South Korea. All you need to do is click our links or simply search online. Everland, Caribbean Bay, Seoul Land, Children’s Grand Park, Ocean World, Petite France (Gapyeong), Gyeongju World, Yongma Land, Children’s Park (Busan), Geumo Land (Gumi), Tongdo Fantasia (Yangsan), Miwoldeu (Busan), KidZania Seoul, and Spavalley (Daegu). Backpacking either a group or solo is great in South Korea. 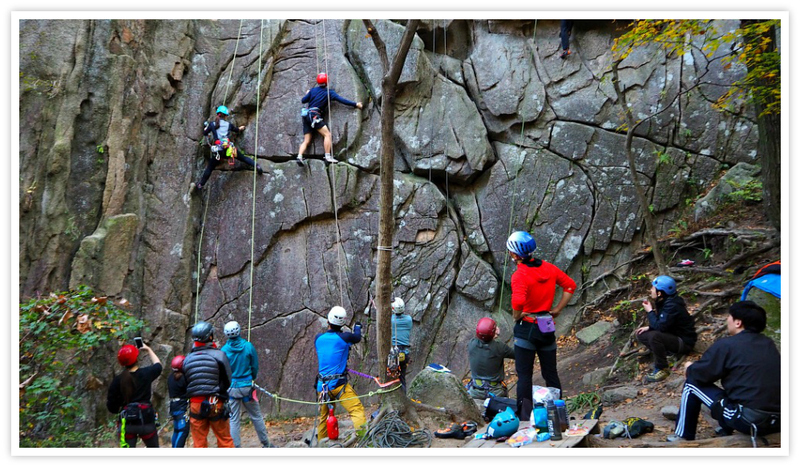 You will discover various exciting and at the same time challenging places and situations. You can easily move around in South Korea because it has a very efficient transportation system. Yes, hiking is your thing, and that is very possible. South Korea is very safe for a solo traveler. Plan your travel and explore anywhere. Click the tips for a cheap backpacking. As an introductory suggestion, you can backpack to these special places: Jeonju, Muju Country, Mungyeong-eup, Busan, Incheon, Andong, Seoul Area, Gapyeong County, and more. Backpacking and camping are great in South Korean travel as well. It is ideal to do it during the warmer seasons especially spring, summer, and autumn. Definitely not advisable on the winter season. Camping is quite popular in public areas. However, if you want to have a bit of adventure, do camping in the forest and mountain areas. Ask first if it is allowed in the area. Serving as your South Korea travel info, it is my pleasure to let you know, if you haven't yet, that Korea has excellent, if not, the best trails for cycling or biking. You can bike either on smooth paths or off beaten paths, such as mountain trails. 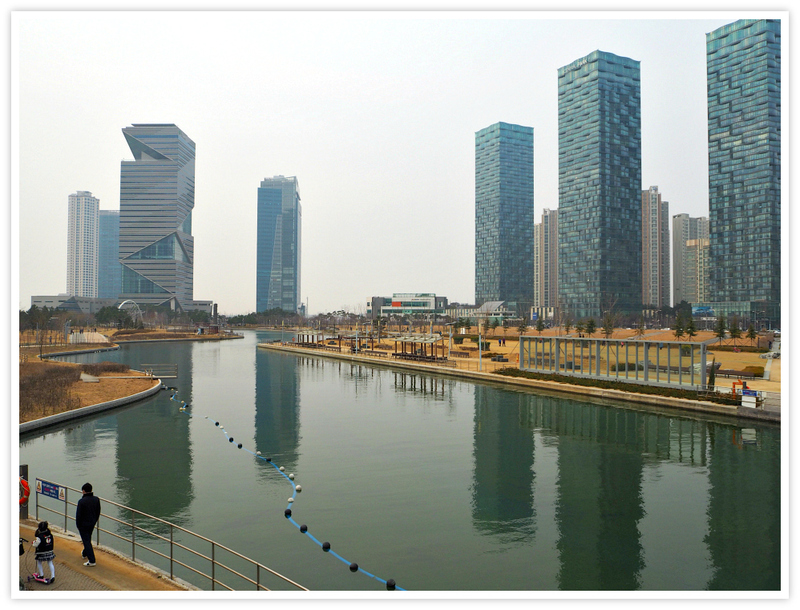 In Korea, you can cycle from the airport (Incheon International Airport) to anywhere in the country, literally. It means that they have great paths and safe ways to ride your bike. There are mountain biking clubs in Korea. However, you can do solo or with friends and family members as well. DMZ stands for the Demilitarized Zone between South Korea and North Korea which served as a buffer zone. The heavily mined border was built on July 27, 1953, when the Armistice Agreement was signed during the Korean War. As a historical site, the DMZ captures that attention of the world and attracts tourists from various parts of the world. This expansive demilitarized zone includes seven different cities and counties in South Korea. The most visited counties include Paju, Yeoncheon, Cheorwon, Hwacheon, Yanggu, Inje, and Goseong. When you plan your trip, make sure to pick a place to make use of your time well for your short visit. Yes, you can get any form of entertainment you like in Korea. They have everything you could imagine. Live music, theaters, performing arts, cinema, traditional music, games (baseball, soccer, etc), jazz, stadium, bars, hot spots, and more. Seoul Racecourse, Nanta Theatre Jung-gu, Mudaeruk (live music), National Theater of Korea, National Gugak Center, Club Evans, Jeongdong Theater, Seoul Arts Center, and more. For your South Korea travel info regarding educational tours, there are lots of organized programmes available. You can either go solo or with your group, such as students. 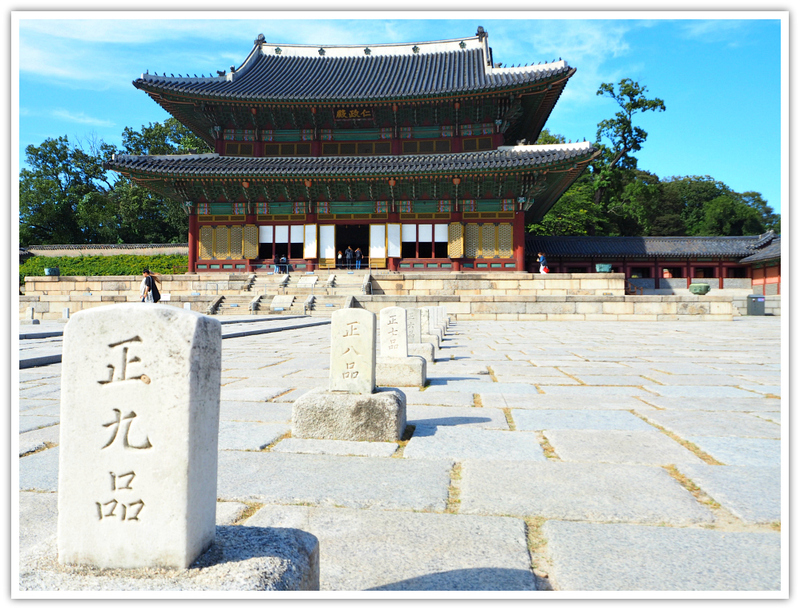 Seoul travel attractions – Gyeongbok Palace, National Folk Museum of Korea, Insadong Cultural Street, Namdaemun Market, etc. Demilitarized Zone – excursion to this border diving the North and South Koreas and see the Freedom Bridge, Third Infiltration Tunnel, Dora Observatory, etc. Gyeongju Exploration – know the culture of Gyeongju, the old capital city of the Shilla Kingdom, and see the local Gyeongju National Museum. South Korea is gaining much popularity not only on technology but also about health and beauty services and products. South Koreans, especially women are very concerned and serious about beauty and health. To support this thinking and practice, the country’s research and technology companies are making much advancement in this field. If you want instant products, you can directly head to H&B stores (health and beauty). Since the H&B products are becoming daily products by many, there are more aggressive expansions of retail stores by major Korean companies. Placenta products, smiling lifting (lip corner lifting), salmon eggs (part of skin care), rib resection (rib cage shaving), snail slime, nose squeezing (nose squeezer apparatus), face plunging (into a sink with cool water for 30 seconds), scalp routine (use the ten-step skin care routine to the skin of head), animal fats (e.g. horse oil, lanolin from sheep), and eye smiles (baby eye fat). 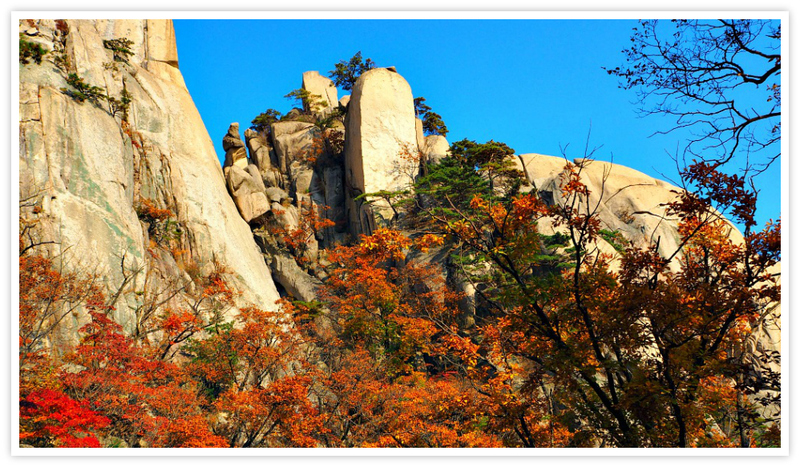 Hiking and mountain activities are one of South Koreans’ best-kept secrets regarding health and longevity. Korea is dotted with over three thousand (approximately 3,358 islands) most of them are uninhabited but great for exploration. Wando, Jukdo, Geojedo, Oedo, Somaemuldo, Udo, etc. More details and links in this page will be added soon. Thanks for reading. Please, share or like if this South Korea travel info is helpful.